A small selection of articles, mostly from the last decade. Podcast: Being Jewish, Being American Morris Dickstein, Times Literary Supplement, April 13, 2016.
Review: Promised lands, Morris Dickstein on The New Diaspora and other books, Times Literary Supplement, April 13, 2016. Interview with Inside Higher Ed on Dancing in the Dark and the 1930s, March 10, 2010. The Author Speaks: Art in Times of Despair. Interview conducted by AARP Bulletin Today‘s Krista Walton, October 2009. Facing the Music: What 1930s pop culture can teach us about our own hard times. The American Scholar, Autumn 2009. 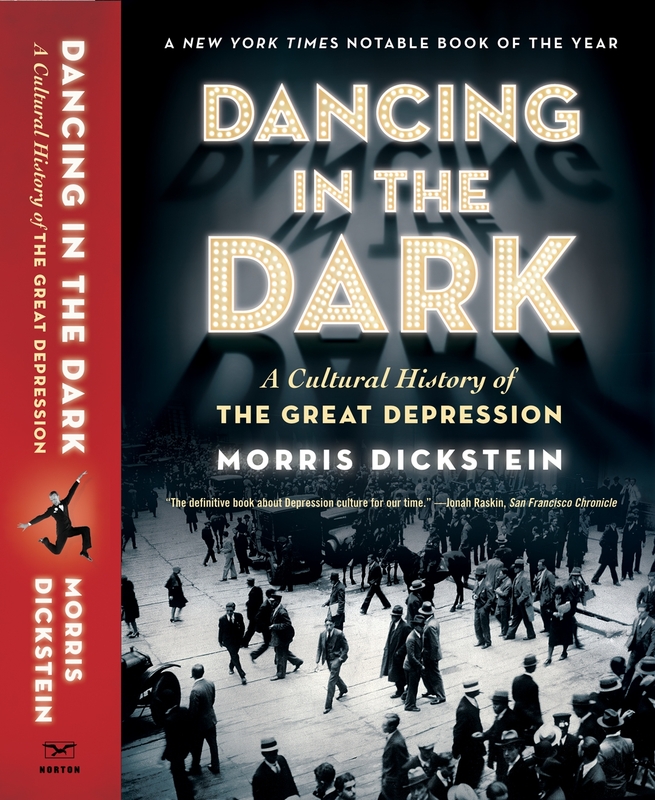 How Song, Dance, and Movies Bailed Us Out of the Depression. Los Angeles Times, April 1, 2009. Quoted in Generation OMG, New York Times, March 7, 2009. How the Recession Might Affect the Kids. Video interview with Business Week. Reading Into the Great Depression. Humanities, July/August 2009. Interview for Zefrey Throwell’s Frank Prattle. Huffington Post, October 2009. Double Lives – Leonard Bernstein’s Letters, Times Literary Supplement,?July 18, 2014. “The Daily Round,” review of two collections of essays by Phillip Lopate, New York Times Book Review,?March 3, 2013. The Great Contrarian: Dwight Macdonald’s Masscult and Midcult, East Hampton Star,?July 19, 2012. From Woodstock to Sarah Palin, or Not. Did Woodstock Change America?, NYTimes.com, August 9, 2009. Going Native: On What Happened to the Literary Canon when American Literature Became Good Enough for Americans. The American Scholar, Winter 2007. Art and Society: Meeting at the Crossroads: A Conversation with Morris Dickstein. Interview from USIA Electronic Journal, June 1998. The New York Intellectuals. Adapted from a talk at the annual meeting of the American Sociological Association,?August 1996. New! ?The Scholar as Poet: Remembering Geoffrey Hartman (1929-2016). Tikkun, December 20, 2017. Richard Rorty, Remembered. Reminiscences of Richard Rorty. Slate, June 18, 2007. Thinking about Theory’s Empire. The Valve: A Literary Organ, July 14, 2005. Literary Theory and Historical Understanding. The Chronicle of Higher Education, May 23, 2003. Postmodern Fog is Beginning to Lift. On contemporary literary criticism. L.A. Times, May 26, 2005. Praising Not the Hedgehog but the Fox. On Geoffrey Hartman’s “A Scholar’s Tale.” New York Sun, December 26, 2007. Between Generations. Robert S. Boynton interviews Morris Dickstein. The Minnesota Review, 2002. Train of Thought. On Edmund Wilson. Bookforum, Dec/Jan 2008. New! Being Jewish, Being American Morris Dickstein on The New Diaspora, Times Literary Supplement podcast, April 13, 2016. The Milk of Human Kindness. Review of A. B. Yehoshua, The Retrospective. Moment Magazine, March-April 2013. Why Are Jews Liberals?. Respondent to question posed by Tablet Magazine, September 10, 2009. Memory Unbound. On Henry Roth’s career. The Threepenny Review, Summer 2007. From Ethnic Ripples, a Tidal Wave. Postwar Jewish Writers Conserved the Past While Dreaming Beyond It. Forward, May 07, 2004. Don’t Call It Night. On Amos Oz’s “The Same Sea.” The Nation, Jan. 21, 2002.
Review of Philip Roth’s “My Life as a Man”. New York Times, June 2, 1974. New! ?John O’Hara: Something to remember him by, Times Literary Supplement,?May 12, 2017. “Becoming Gore Vidal,” The Daily Beast, August 4, 2012. Remembering John Updike. Dissent, Feb. 2, 2009. Ig-Nobel Thoughts. Response to question of whether U.S. literary culture is too isolated. Inside Higher Ed, October 8, 2008. Fiction and Political Fact, Bookforum, June/July/August 2008. The Un-Generation: Mailer, Paley, and Vonnegut. Los Angeles Times, December 30, 2007. The Nijinsky of Ambivalence. On Norman Mailer and the 1967 Pentagon March. The Nation, December 10, 2007. Quoted in Army of One: A Feisty and Enigmatic Sense of Self Drove Norman Mailer. Washington Post, Nov. 12, 2007. All Made Up: Edmund White writes the novel Stephen Crane never did. Bookforum Sept/Oct/Nov 2007. The Inner Lives of Men. On John Williams’s Stoner. New York Times, June 17, 2007. War, Economy, History: Politics by Other Media. Dissent, Summer 2010. The Politics of the Thriller. Dissent, Spring 2006. Going to the Movies: The Light Fantastic. Partisan Review, July 2002. “Remembering Daniel Bell: The Power of Temperament”?Dissent online, January 28, 2011. “Whose Dog Are You?” (On Light Verse). Parnassus 32, Vols 1 & 2, 2011. Lillian Hellman Remembered. American Repertory Theatre News,?May 1993.